Please click on the links to expand the info area. Thanks! 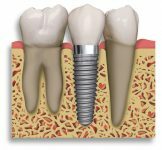 Dental implants restore your lost tooth and oral function safely and reliably. A natural tooth consists of a crown (the part you see above the gum), and the root (the part hidden under the gum within the jawbone which is only visible in a dental radiograph). When a person has a missing tooth, the dentists have to restore the tooth that comes with a supportive root under the gums. In the past, if you had a tooth with a diseased nerve, it would usually have to be pulled. However, with the development of the root canal procedure, in most cases, especially those caught early enough, all or part of that tooth can now be saved. 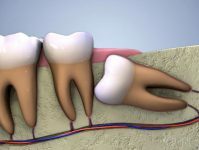 To explain the procedure further, inside each tooth is the pulp, which runs like a thread down through the tooth, providing the nutrients and nerves the tooth needs to stay healthy. However, when the pulp is diseased or injured, it dies. And if you don’t remove it, the tooth can get infected and eventually it, too, will die. 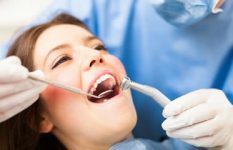 So once the problem is identified, we’ll perform a root canal, which involves removing the pulp, and then cleaning out and sealing the canal to protect the remaining tooth material. Following this, your dentist will either put a filling in the space, or if too much of the tooth is gone, a crown will be needed. 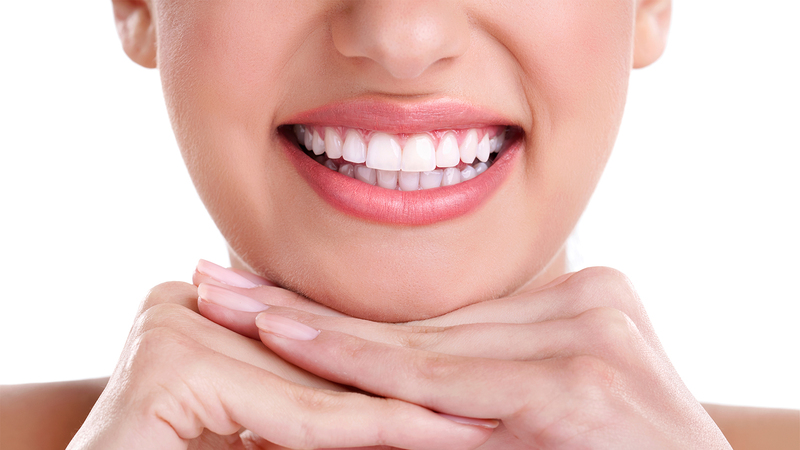 With today’s dental technology, there are multiple ways that you can enhance your smile. 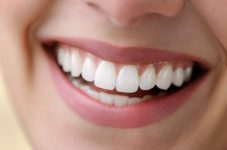 The options range from subtle changes through teeth whitening and tooth colored fillings, to more dramatic smile transformations with porcelain veneers and snap-on smiles. A composite filling is a tooth colored glass-like material. After tooth decay is removed and cleaned, this tooth colored material is layered into the tooth. Each layer is hardened or cured with highly intense visible light, and the final surface is shaped and polished to match the tooth. The final restoration is virtually invisible. Composite fillings are more than just attractive. They are environmentally non-toxic because they use no mercury. They are stronger because they bond directly to the surface of the tooth. They protect the tooth from fracturing because they don't require the severe "undercut" (removal of healthy tooth structure) of a mercury filling. Sometimes a healthy smile is not enough. A bright smile can be difference in improving your smile. At Uptown Dental Surgery, we offer affordable in-office teeth whitening that will whiten your teeth in a shorter period of time than "at home" teeth whitening using bleaching trays. Tooth discoloration is a common esthetic problem that can be caused by many things. There are two types of professional whitening options available: at-home and in-office. At home whitening systems utilize a custom tray created by the dentist that keeps the whitening agent on the teeth. In-office teeth whitening - this is the fastest method to whiten teeth. In office whitening is 60 min procedure that is done with a combination of light and chemical agents. This 60 minute procedure will be divided into seperate 30-minute cycles. After one visit you will see instant results. 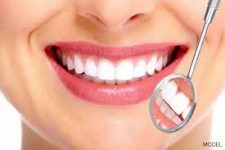 Bleaching Trays - this type of teeth whitening can be done at home and requires consistent treatment to be effective. This process would take several weeks to achieve great results. The timeline will also vary depending on what you eat. Food stains will delay the process of teeth whitening using bleaching trays. Tooth bonding is a simple cosmetic dentistry procedure that can help fix cracks and chips in the teeth. This procedure can even be completed in one office visit! A bridge is a single appliance that is generally attached to two teeth on each side of the space where a tooth is missing. An artificial tooth attached in the middle of the bridge fills in the gap where the missing tooth was. The teeth on either side of the gap are prepared for crowns (see crowns) and a highly accurate impression or mold is made of the prepared area. This mold is used to create a gold or porcelain (tooth colored) bridge in a special laboratory. The bridge is then cemented onto the prepared surface of the teeth, effectively creating the appearance of a "new" tooth. In some instances, a resin-bonded bridge may be used. In this case, the two teeth on each side of the gap are not prepared for crowns. Instead, the bridge consists of a false tooth with metal brackets on the back of each side of the gap. The brackets are attached to the backs of the real teeth on each side. A crown (often called a cap) covers the tooth and restores it to its original shape and size. Decay is removed and cleaned from the tooth and a highly accurate impression or mold is made of the prepared surface. This mold is used to create a model of the tooth which is then sent to a special laboratory that will create a gold or porcelain (tooth colored) crown. The crown is then cemented onto the prepared surface of the tooth. Crowns should be placed before the tooth is so decayed that it may fracture. This can often help prevent the expense of root canal therapy in the future. It can also prevent the possibility that a fractured tooth may need to be removed, requiring the expense of a bridge or implant to replace the missing tooth. Occasionally, a tooth may still need root canal therapy after being crowned. However, this indicates that the interior of the tooth was already sick (infected) and would have eventually needed root canal therapy anyway. Onlays and inlays are an excellent way to restore teeth with small to moderate decay. Decay is removed and cleaned from the tooth and a highly accurate impression or mold is made of the prepared surface. This mold is used to create a model of the tooth which is then sent to a special laboratory that will create a gold or porcelain (tooth colored) restoration called an inlay or onlay. The inlay or onlay is then cemented into the prepared surface of the tooth. Inlays and onlays are incredibly strong due to the fact that they are created in a laboratory. This protects the tooth from fracturing and actually strengthens the tooth. In addition, inlays and onlays fit almost perfectly into the prepared surface of the tooth, reducing the size of the seam between the restoration and the tooth. This helps keep decay from eventually occurring under the restoration. Dentures are a replacement for missing teeth that can be removed and put back into your mouth as you please. Depending on each individual patient case, they may receive full or partial dentures. Full dentures are used when all of the natural teeth are removed from the mouth and replaced with a full set of dentures. When your wisdom teeth are well-positioned and healthy, they are very important. But if they’re too big for your jaw size, if they emerge from the jaw crooked or if they’re impacted and don’t come down through the gum, there can be serious problems, ranging from the disruption of nearby teeth to the formation of cysts under the gum. At Uptown Dental, we can track the condition of your wisdom teeth through both visual examination and regular dental x-rays. And when a problem is identified, wisdom tooth extraction is often the best course. This is usually a minor surgical procedure, done in our offices, using local anesthetic. There can be some discomfort following the procedure, but it is usually minimal and short-live. This procedure is performed to expose more of the tooth structure. Your surgeon will remove gum tissue, bone, or a combination of both so that more of the tooth will show. This surgery is commonly used for patients with “gummy smiles” so that less gum shows. It can also be used to help support a crown or filling. Orthodontic treatment is an important investment for your smile and your future. Everyone involved in your orthodontic care wants you to have the best results possible. It helps to correct teeth and jaws which are positioned improperly in order to improve your oral hygiene and gain a more confidence smile thus improve your appearance. The Pre-Orthodontic Trainer is designed to provide growing children early treatment for their developing orthodontic problems (from 6 years of age), as soon as the need for treatment is evident. Crowding and jaw discrepancies are to a great extent acquired, only a few are inherited. Habits such as mouth breathing, reverse swallowing and thumb sucking are the major causes. The Pre-Orthodontic Trainer is a 'pre-orthodontic' brace that helps to correct these habits as well as aligning the developing teeth. This will help future orthodontic treatment by making it less complex and decreasing the need for extractions. Ceramic braces are the same size and shape as metal braces, except that they have tooth-colored or clear brackets that blend in to teeth. The primary difference between ceramic and traditional braces has to do with the type of orthodontic brackets that are bonded to the patient's teeth. This difference in the colour of the brackets really does help to make it less obvious to others that a person is wearing braces, especially at a distance. And that's why ceramic braces are a very popular treatment option. 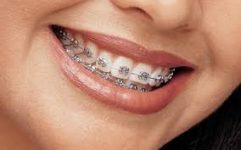 More comfortable than ever before, traditional metal braces are the most common type of braces. Made of high-grade stainless steel, metal braces straighten your teeth using metal brackets and archwires. However, modern brackets are smaller and less noticeable than the notorious "metal-mouth" braces than many adults remember. Regular check-ups and maintenance goes a long way in keeping your smile flawless at all times. We practically do what general dentistry offers only better. We believe you deserve a detailed understanding of what is happening, therefore intra-oral camera plays an important role in delivering our service. Your feelings and decisions towards our services are important to us. So we listen to you instead of only you who are the listener. Remove plaque from the teeth -- Plaque is a sticky substance that forms in the mouth from food, saliva and bacteria. Plaque sticks to teeth and causes tooth decay and gum disease. Normal pits and grooves on the chewing surfaces of back teeth can trap food that can't be removed by brushing or washed out by water or saliva. A sealant is a tough, plastic material designed to bond (stick) to tooth enamel. These clear or tooth colored sealants are painted onto the tooth surface to "seal" the pits and grooves and protect against decay. They are generally applied to children's first permanent back teeth. They can also be useful for adults in certain situations. If plaque/tartar are not removed in a timely manner through scaling and polishing, it can cause long-term gum inflammation, commonly known as gingivitis. If gingivitis is left is not treated and nothing is done about it, the inflammation will work its way down towards the foundations of the tooth causing a “periodontal pocket”. The bacteria can thrive inside this “pocket” can cause further damage. Gum disease can break down the support (bone) structures of the teeth, so that eventually, they will become loose. The problem is that until it gets quite severe, the person often has no symptoms. Sadly, the damage to the support structures of the teeth is irreversible. 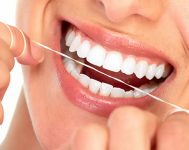 The good news is that if gum disease is caught in time, its progression can be halted and improved upon, and that is the key. To stop gum disease from progressing, your dentist may advise periodontal therapy, or deep cleaning. This gets rid of the bacteria in the pocket and provides the necessary conditions for healing to occur. Your dentist may wish to make this area numb so that the process is comfortable for you. Dental x-rays or radiographs are very important. They allow the dentist to see things about your oral health that cannot be seen by the naked eye. These items include cysts (sacks of fluid that form on the roots of teeth), cancerous and non-cancerous tumors, invisible decay that occurs between teeth, and the location of teeth that haven't grown all the way in. By using an x-ray to diagnose these problems, we can help save you money in the long run from surgeries or other treatments that might become necessary if we didn't find the problem. In some cases, where dental x-rays show the location of tumorous growths, x-rays can be responsible for saving your life. Prevention is always better than cure. Dental and disease is almost entirely preventable and oral health is just as important as the health of the rest of your body. To maintain good oral health, it is necessary to visit your dentist at least twice a year. Going for regular check-ups helps to keep your gums and teeth healthy. It also allows early detection of any problems such as gum disease, dental decay and oral cancer. The temporamandibular (TMJ) joints are located near the ear, at the top of the lower jaw. These joints allow movement of your jaw. Not all discomfort of the jaw is the result of a TMJ disorder. In many cases, stress causes the muscles in the jaw to tense, resulting in symptoms similar to those characteristic of a TMJ disorder. Special imaging techniques may be needed to properly diagnose jaw problems and correct them accordingly. The necessary course of treatment is dependent on the specific diagnosis and severity of the damage to the joint. Oftentimes, a night guard that prevents clenching and grating of the teeth during the night is effective in treating TMJ problems. Night guards are fashioned to fit your bite by taking an impression of your teeth. This impression is then sent to a lab where your night guard will be constructed. A topical fluoride treatment is applied at the clinic after you have received a professional cleaning. Usually a fluoride gel or foam is placed in mouth shaped trays (affectionately known as duck trays) and inserted into the mouth for your teeth to “soak” in for a few minutes. After fluoride application, we will ask you not to eat or drink for at least 30 minutes to allow for optimum absorption. Fluoride can re-mineralize small imperfections in the tooth enamel by attracting calcium to the teeth. Fluoride can actually make teeth stronger! Years of research and use have proven fluoride to be a safe and effective means of fighting and preventing tooth decay. If you grind your teeth you should consider a night guard. The night guard, which is very similar to a mouth guard worn by athletes, provides a barrier between your top and bottom teeth while you sleep. All night guards are custom fitted for comfort and to allow for proper breathing. Night guards are very durable and can be used for up to 10 years. Closed on Sunday and Selected Public Holidays. Please click here on the button BELOW for information on the location of car parking facilities.